One of our favorite things about a big Thanksgiving dinner ... are the leftovers (turkey, stuffing and cranberry sauce sandwich anyone?) 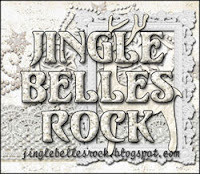 ... so this week we're celebrating Holiday Leftovers at Jingle Belles. 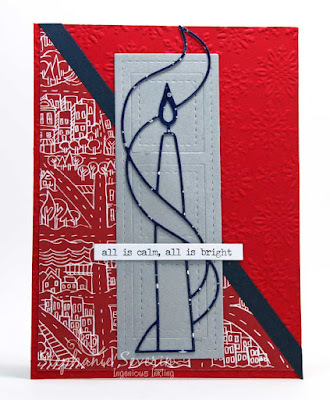 We're asking you to make a card using paper scraps, offcuts, an image you colored or diecut or fussy-cut but never used, a small piece of ribbon too pretty to toss away, the last sticker in the packet or... whatever "leftover" bits and bobs you have laying around. Of course you can mix in new stuff too. Oh and be sure to tell us what your leftovers are so we can marvel at your cleverness! 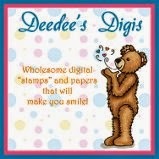 Stephanie says, "I have a container where I toss all of my *extra* die cut images. I decided to see if I could make a card using only those *leftovers* as my focal image. I combined Pretty Pink Posh Stitched Filmstrip in Silver with the outline from Memory Box Tall Taper Candle in a silver flecked navy. 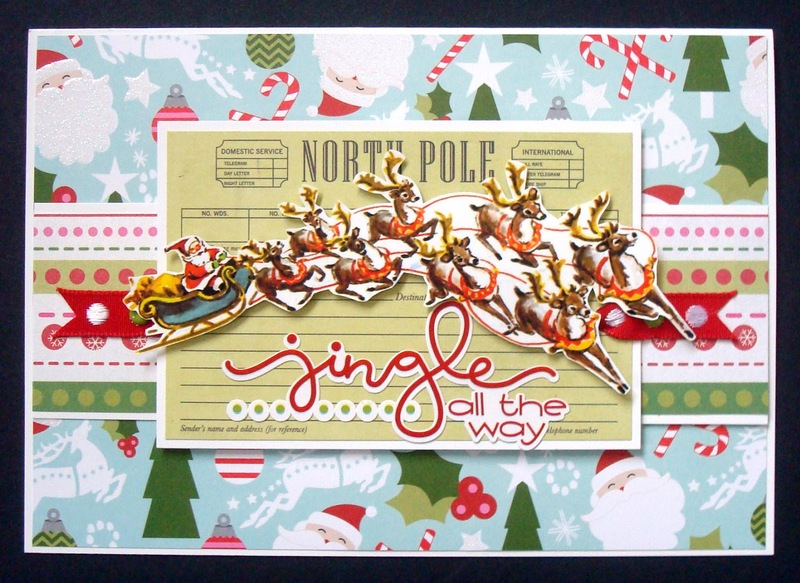 I used this week's Retro Sketch incorporating scraps of paper for the rest of the design and a Tim Holtz Sticker for the sentiment." Lauren says, "I make a lot of layery, collagey cards and i tend to "dry fit" things together before committing to an actual design. So I tend to wind up with LOADS of stickers cut away from their backing sheet, diecuts that were made in several colors before i decided which i liked, and all the usual bits of paper that were too small to live in my ordinary file-folder-like storage but to big to toss away. On the plus side, this sort of arrangement means that for the card above i was able to use ALL "leftovers" and still have plenty of choice, lol; I also used Sketch Saturday #387 because it's totally awesome!" Now it's your turn to raid the "leftovers" ... add in what every new things you'd like ... and link up a gorgeous holiday card before 6pm (EST) on Wednesday, December (!!!) 2nd. Keyword for galleries and Flickr is JB:15:24. Gorgeous creations! I love that die cut on Stephanie's .. that is so beautiful!! 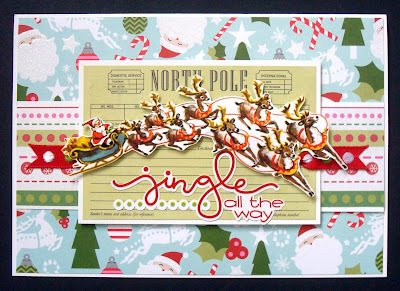 Love the embossing and paper .. Too cute!! Thanks for another fun challenge! Hey Ladies, I really love what you've done with all the leftovers. What to empty the fridge - so to speak! Seriously, love them all.